The OM-CP-ULTRASHOCK-EB is a battery powered, stand alone temperature, pressure, humidity and 3-axis shock recorder which offers a battery life of up to 60 days typical. The unit measures and records temperature, pressure and humidity at the selected reading rates, while shock is recorded as the peak acceleration levels over the same interval. 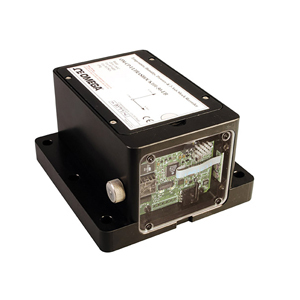 The OM-CP-ULTRASHOCK-EB is specifically designed for documenting dynamic environments such as moving vehicles, trucks, containers, ships, etc. The device is also valuable in characterizing environments such as production and assembly lines of delicate electronics, IC fabrication, communications and computer components. This is an all-in-one compact, portable, easy to use device that will measure and record up to 174,762 measurements per channel (1,572,858 measurements, total). The storage medium is non-volatile solid state memory, providing maximum data security even if the battery becomes discharged. The device can be started and stopped directly from your computer and it’s small size allows it to fit almost anywhere. The OM-CP-ULTRASHOCK-EB makes data retrieval quick and easy. Simply plug it into an empty COM or USB port and our userfriendly software does the rest. 注: Operator's manual and USB interface cable are included with the OM-CP-IFC200 Windows software (required to operate the data logger and sold separately). All the units come with the certification free of charge.